There are 36 adivasis communities are listed in this. Majority of them includes Todas, Kadars, Irulas, Kotas, Kattunaikas, Kurumans, Muthuvans, Paniyans, Pulayans, Malayalees, Kurumbas, Eravallans, Kanikkars, Mannans and Paliyans. Share of Adivasis population in the state is 1.03%. According to the Census Report, the total ST Population in Tamilnadu is 6,51,321 (1.04%) among this Male is 328917 and Female is 322404. There are six primitive tribal groups in Tamilnadu such as Irular, Kattunaikan, Kotar, Kurumbar, Paniyan and Todas are the PTGs. Adivasis literacy rate is 27.89% among them men 35.25% and the women 20.23%. Enrolment rate of STs is 48.2%. About 87% of the Adivasis in South India are living under the poverty and have lost their indigenous identity. Government schemes are not reaching to them and still many villages do not have basic amenities like drinking water, schools, electricity, road and transport. Exploitation, ignorance and discrimination are some of the stumbling block for the under development of Adivasis. About 53% of Adivasis do not have permanent houses 48% of the Adivasis are not finding any employment opportunities. 2 MLA seats reserved for Adivasis. The Ministry for Scheduled Caste & Scheduled Tribes (SC/ST) implements programmes and schemes for the development of Adivasis in Tamilnadu. Majority of their schemes and programmes are focusing on educational development of the scheduled tribes. There are 35 Adivasi communities are listed in this state. Majority of them includes Malakuravans, Malayarayans, Malavetans, Malayans, Mannans, Ullatans, Uralis, Vishawans, Arandans, Kattunaykans, Koragas, Kotas, Kurichiyans, Kurumans, Paniyas, Pulayans, Malsars and Kurumbas. Share of adivasi population in the state is 0.49%. Adivasi literacy rate in Kerala south India is 57.22% among them men 63.38% and the women 51.07%. About 82% of the Adivasis are living under the poverty. 54% of the Adivasis are not finding any employment opportunities in this south India. 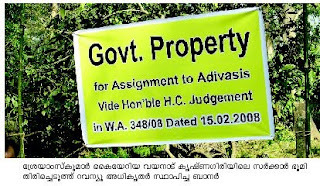 Only 1 MLA seat reserved for Adivasis in Kerala. There are 49 Adivasis communities are listed in this state. Majority of them includes Gaudalus, Hakkipikkis, Irruligas, Jenu Kurubas, Malaikuds, Malikudis, Bhils, Gonds, Chenchus, Koyas, Yeravas, Haleyas and Koramas. Share of Adivasi population in the state is 2.95%. Adivasi literacy rate in Karnataka is 36.01% among them men 47.95% and the women 23.57%. About 85% of the Adivasis are living under the poverty. 52% of the Adivasis are not finding any employment opportunities in this state. 2 MLA seats reserved for Adivasis in this state. There are 33 Adivasis communities are listed in this state. Majority of them includes Chenchus, Koyas, Gadabas, Konda, Doras, Konda Kapur, Konda Reddis, Sugalis/Lambadis, Yenadis, Yerukulas, Bhils, Gonds, Kolams, Pradhans & Valmikis. As per the census report, share of STs in the state is 6.47%. Adivasi literacy rate in Andhra Pradesh is 17.16% among them men 25.25% and the women 8.68%. About 89% of the Adivasis are living under the poverty. Over 46% of the Adivasis are not finding any employment opportunities in this state. There are 15 seats for MLA and 2 seats for MPs are reserved for Adivasis (STs) in this state. Andhra Pradesh state has both scheduled areas and non-scheduled areas. The Northern Andhra Pradesh comes under the fifth schedule area. Most of Adivasis in these regions are depended on non-timber forest produces for their livelihoods needs. In Southern Andhra Pradesh Adivasis have lost their forest rights and identity. Most of the Adivasi communities are nomadic and migrant in search of employment opportunities. There are about 4 Adivasis communities listed in Puduchery. List includes Irulas, Kattunaikers, Kurumans, Zipsis. There is no clear baseline data about Adivasi population in this union territory. Anthropological department says that over 4800 Adivasis living in this state out of the general population of 9, 73,829. General literacy rate is 81.49% and among them Adivasis is less than 10%. It has 4 districts. Adivasis needs government recognization, identity and reservation.